I've lived in New York for almost 11 years, and before visiting the new Paul Labrecque Salon & Spa at Chelsea Piers, I had never visited Chelsea Piers before. Truth be told, it always seemed so far away, especially since I live on the Upper East Side -- and I just didn't see the point of heading all the way to the other side of town just for a gym. But for a spa? I made the effort on a sunny Sunday morning in a heartbeat. Now, a word to the wise about people going to Chelsea Piers ... IT. IS. FAR. AWAY. Really and truly, it is. Even once I took the bus over to Chelsea Piers, I still needed to walk quite a long way before actually making it to the sports complex. I couldn't find a better way to get into the building than by walking through a dark parking garage, which didn't really make me feel so great -- but I just kept going, because I knew my appointment at Paul Labrecque wouldn't disappoint. And I was right. Once I made it into the sports complex, my day of fun was underway. The salon and spa are located in separate spaces inside the complex -- the salon is next to the workout facility, while the spa is through the locker room area. I was beginning my day with a massage and then getting a blowout, so I was led through the locker room to the spa area, where I was given a plush robe and slippers (and full use of the sports center locker room, including steam room and showers). My massage was, in a word, INCREDIBLE. I get massages pretty often, and I'm usually looking for someone who can really knead the tension out of my back and shoulders. Too often, though, they don't spend as much time as I'd like them to on those areas. Well, this massage focused solely on my back and shoulders -- and the tension was completely gone when it was over! My only complaint? It was only 30 minutes long! I could have lain on that table for hours. Luckily, I then had a blowout in the salon. My stylist was fantastic -- he really took his time to make sure my hair looked and felt its absolute best. Two shampoos, conditioner, a blowdryer and flat iron (and an hour and a half) later, my hair was bouncy, shiny and gorgeous. Plus, my blowout lasted for five days! The salon and spa offer a variety of treatments and services, from the aforementioned massage and blowout to haircuts, deep conditioning treatments, facials and more. 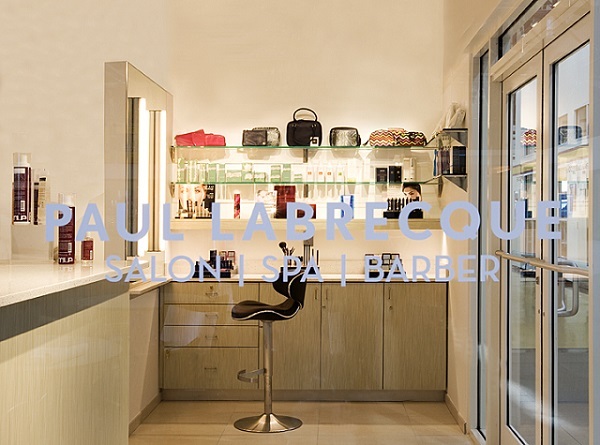 For more information about Paul Labrecque Salon & Spa at Chelsea Piers and to book an appointment, visit chelseapiers.com/spa.